'We, the Jewish people, as a minority need civility as a blanket to protect us from horrors.That civility is disappearing, especially due to internet.' Abe Foxman, former ADL director, speaks to Manfred Gerstenfeld and Rene van Praag. Rene van Praag co-authored this article. 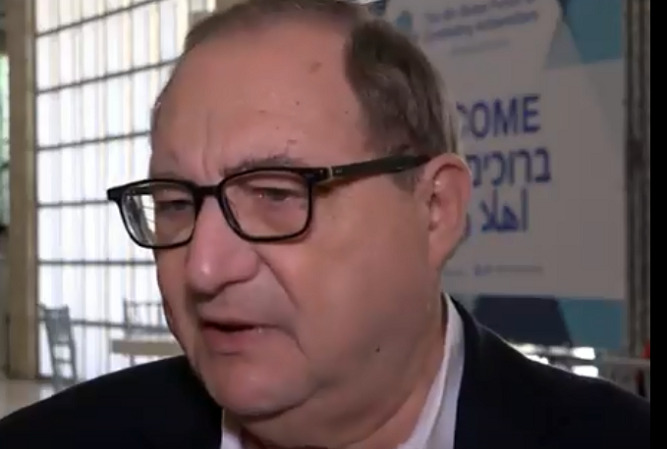 Abraham Henry (Abe) Foxman was National Director of the Anti-Defamation League (ADL) from 1987 to 2015. 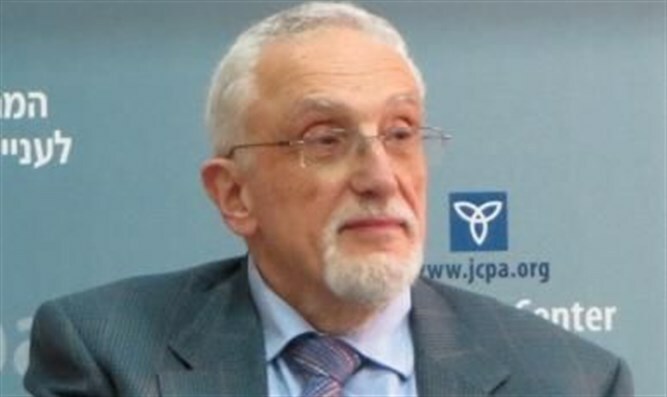 He is currently the ADL’s National Director Emeritus. In March 2016, he became head of the Center for the Study of Anti-Semitism at the Museum of Jewish Heritage in New York City. He says: “I am involved with the Museum of Jewish Heritage which is also a living memorial to the Shoah. Since I retired from the Anti-Defamation League, I have been working to engage and involve students in these issues. “In one way or the other students from countries such as the Dominican Republic, Bangladesh and Pakistan have said to me: ‘This is interesting, the Germans hated the Jews, they killed the Jews, afterwards they made up with the Jews. What is its relevance to me?’ For them the Shoah has little relevance today. “The museum is in Battery Park between the 9/11 Museum and the Statue of Liberty. The building is currently being reconstructed. I convinced the museum’s Board of Directors to rebuild and rebrand the institution with a permanent exhibit of anti-Semitism. One can only comprehend the Shoah if one understands anti-Semitism. The Shoah did not happen in a vacuum or by itself in a specific country. “Somebody once explained why Hitler was successful. First Jews were told: ‘You cannot live amongst us as Jews. Convert.’ Then a couple of hundred years later, that phrase was to: ‘You cannot live amongst us. Expulsions.’ Then Hitler came and said: ‘You cannot live.’ This was possible because of the previous history of Jews being singled out in every generation, regime and religion. “Once this is clear I can say to my students in New York that singling out is the mother of all prejudices. Jews have always been ‘the other’ regardless of their language and culture. It was even the case when things were fine. I tell them: ‘You as a student can be “the other” in the Bronx, Queens or Florida. Therefore you have to understand that you need to stand up.’ Then the Shoah becomes relevant. If you do not understand, go to the second floor and third floor of the museum and see what hate can do. “I am in the process of hiring a curator. I am also gathering artifacts. From early times there are still writings. From the last 200–300 years we have art, ceramics and carvings. This shows that even hate can be creative. “Strangely enough, there are some Jews who have spent years collecting this bigotry. Some of them are now in their 70’s and 80’s. Their children do not want the collection. The owners are looking for a location in a permanent educational place which will also serve as a center for research. One can only comprehend the Shoah if one understands anti-Semitism. The Shoah did not happen in a vacuum or by itself in a specific country. “We are beginning to analyze how we will tell the story. There are many ways to do this. We can start from the scroll of Esther. Some say we should start from Judas’ thirty pieces of silver. “We will try as much as we can to cover the whole world. We will show anti-Semitism’s permanence, continuity and the unbelievable survival of this hatred to this day. This phenomenon needs to be studied and understood. “The most dramatic current acceleration of anti-Semitism comes out of the creation and development of the internet which is a vehicle for information, education and knowledge and at the same time has provided a super highway for anti-Semitism, bigotry and prejudice. This hatred is like a tsunami. “We have been taught how to answer hate with good speech versus bad speech. Yet now the hate comes at us in an anonymous, overwhelming wave. How does one deal with this? The internet has given hate more legitimacy, more visibility and greater world impact. “We are in an era of populism and super-nationalism. The major enemy of the Jewish people used to be the Christian Church which has now become an ally. Islam, a religion which throughout the years was more tolerant toward Jews, has now partly turned into radical Islam. This has become a threat. anti-Semitism is a major element of many Muslim communities today. The hatred is more of the same with new vehicles and technology. We have to find ways to deal with this new technology.